We hear about many interesting jobs our customers perform during the course of a year. 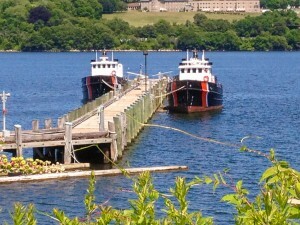 We don’t often, however, get a chance to report a story from as unique a place as the United States Coast Guard Academy. Founded in 1876 and located in New London, CT since 1910, the Academy’s streets recently required major renovations. Like many rehab projects, the streets had to remain open for Academy traffic at all times. With only 300′ (100 m) sections open at a time, campus buildings crowding the streets, and both foot and vehicular traffic constantly passing, the job was a logistical nightmare and one few contractors would want to tackle. 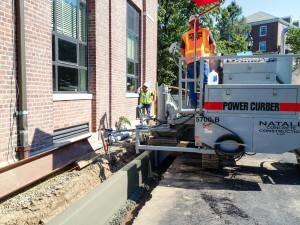 A job as difficult as this one would be difficult for any curb professional, much less a contractor pouring his first job with a slipform machine. 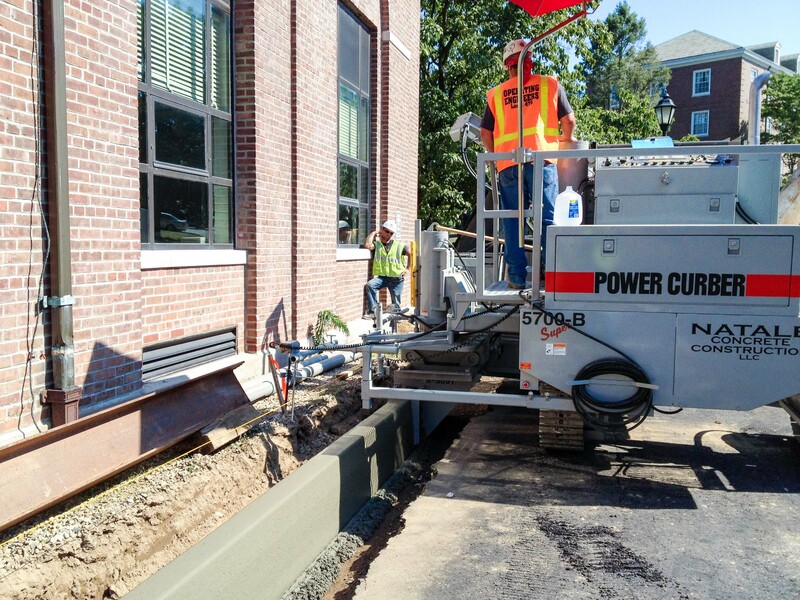 Equipped with a reconditioned Power Curber 5700-Super-B, Nick Natale of Natale Concrete Construction took on the challenge and produced great results. He found the machine easy to operate and noted that its unobstructed visibility to the whole jobsite was critical in such a job. With limited space for the ready-mix trucks to operate and with the trucks having to keep the road clear, the 5700-Super-B’s auger conveyor with high-capacity hopper let him pour more curb without a truck staying with the machine constantly as belt conveyors require. Nick commented that “the ready-mix trucks had to get out of the way often, but having plenty of concrete let me keep on pouring.” Nick wasn’t the only one impressed with how the machine handled the compact jobsite. 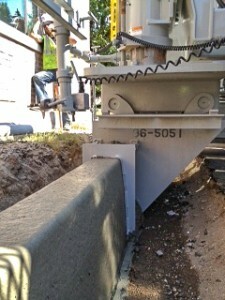 One driver noted that with a competitive manufacturer’s machine with which he’d worked, he couldn’t have fit the machine and truck into some of the tight spaces. 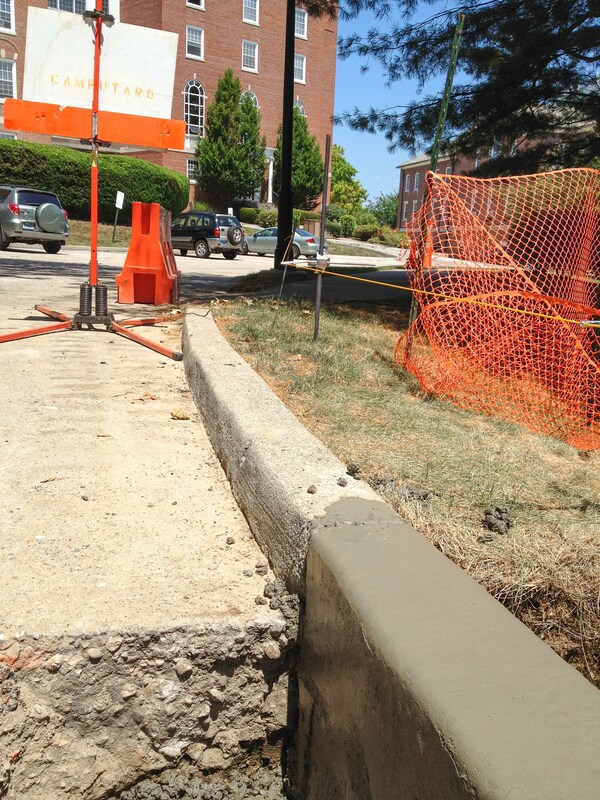 As if the traffic and tight confines weren’t enough, the 2,500′ (800 m) job required three different profiles – ribbon or header curb, 18″ wide curb and gutter, and 24″ rollover/mountable curb. Nick quickly found out why the machine came equipped with a Quick Connect mold mount, and put it to good use to frequently change molds as he moved from section to section, further saving time. Natale entered a curb market that has primarily been granite and pre-cast curb in the past. With the quality and production Natale’s brought to the region with slipformed curb, we think he’ll be quite busy and jobsites in Connecticut are going to be ready for the asphalt to go in a lot more quickly.